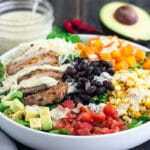 This taco salad recipe is a go to salad for both of our families in the summer. It’s easy to make, super fresh tasting, full of veggies and packs a big punch in the flavor department. Great for those hot summer nights where you don’t want to be standing over a stove or for when you need a quick, healthy, but also delicious dinner for your family. Kevin and I have this salad for dinner at least once a week during the summer. At least… And I know Debbie and Mark eat a lot of it too. The boys love it just as much as Debbie and I do and it’s actually the only salad that Kevin asks for. That’s saying something. its so quick to whip up especially if you always have some handy chicken breast in the fridge like I do. 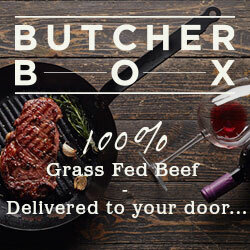 This marinade is great for many different recipes so don’t be afraid to make extra and keep it on hand. its fresh especially in the summer where you can use veggies you grow in your garden or get at the farmers market. 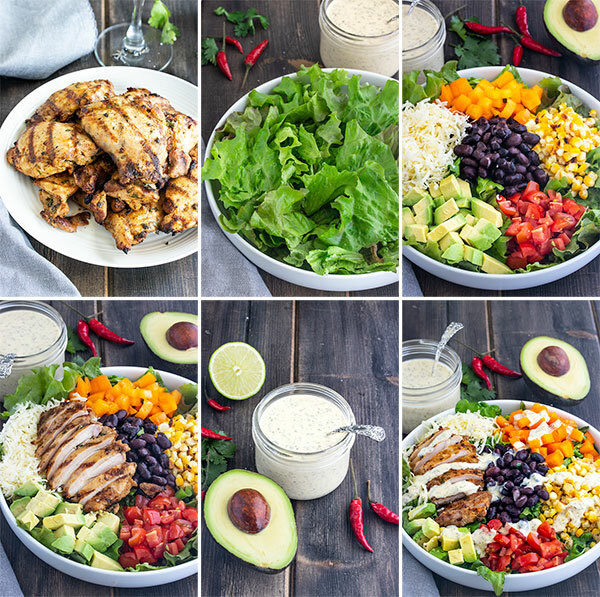 you can cook the chicken on the bbq and serve it hot and fresh and create a taco salad bar! 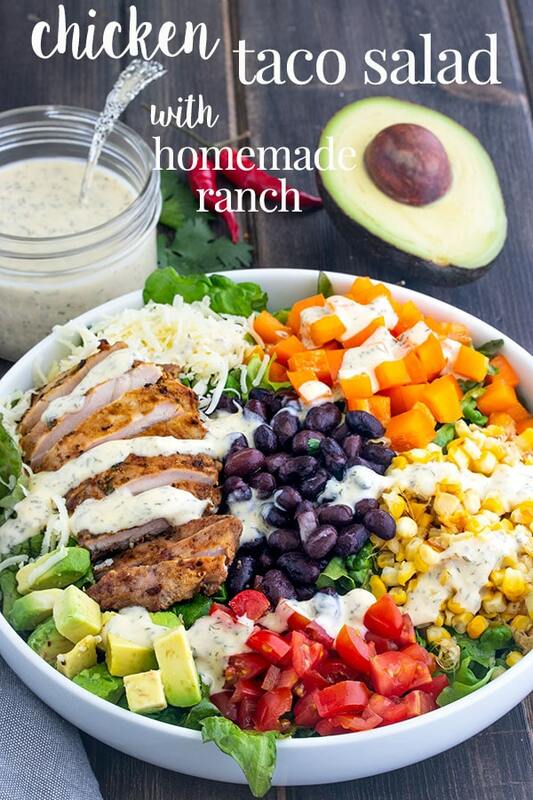 first make the homemade ranch and store it in the fridge until you are ready to use it. This can be done well ahead of time too! marinate your chicken in the tequila lime marinade. Heat up your barbecue or a cast iron skillet and cook your chicken while you assemble the rest of the salad. shuck and clean your corn on the cob then either put it on the hot bbq for about 30 seconds on each side or slice the kernels off the corn and cook them for a couple mins in a hot skillet. 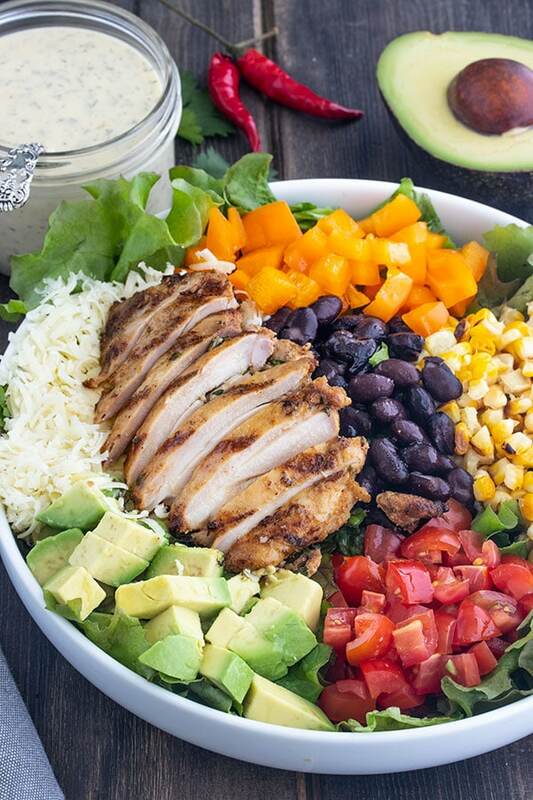 arrange your veggies, corn, beans, chicken and avocado in a bowl. make lots of chicken all at once and store the unused portions in the fridge. This makes your next taco salad really easy! serve your chicken hot or cold for this salad. Both are delicious. be careful not to over cook your corn. Fresh corn cooks quick and you want it to have some crunch to it. use a crunchy lettuce like iceberg or romaine hearts for this salad. This ranch dressing was a long time in the making for Debbie and I. We first came up with the ranch spice mixture for our crack nuts and bolts recipe to use in place of packaged ranch seasoning which is packed full of chemicals along with the spices. Our mixture tastes exactly like ranch and doesn’t have the extra crap that you don’t need. Don’t leave out the citric acid, its the ingredient that gives our ranch that tangy flavor that you need for a proper ranch. It also works as a natural preservative. You can get it at most health food stores or here on Amazon. We like to make a bunch of the spice seasoning and then store the extra in an airtight spice jar. It will keep like that for months, and make it easier for you to whip up some ranch dressing. If you’re like me and you like a little heat in your dressing, add some chipotle powder or some minced jalapenos, or even just a little extra chili powder. Debbie doesn’t like a lot of heat so she made this dressing recipe without a lot of it. We sometimes like to make a tortilla bowl for our tacos salads. We like to do this especially if we’re serving guests cuz it just makes these salads a little more special. Taco salad bowls made with tortillas are really easy to make. We make ours baked instead of fried. Just rub or spray some oil on both sides of a tortilla and drape it over a small bowl. Cover with foil and press the tortilla around the bowl. Flip it over and place on a baking sheet. The tortilla will hold its shape because of the tin foil. Bake in the oven at 375 for 5 mins, remove from the oven and pull the bowl out then bake for another 5 mins. Finally, take them out, flip the tortilla bowl over and cover the bottom edges with the foil. Bake 5 more mins or so. Take them out and flip right side up to cool. Here is a great video that walks you through the process. You can fry your tortilla bowls too which taste so good too. This video shows you how to do that, but you will need a deep fryer like this one. A couple tips for serving this taco salad to guests, because it makes a great summer patio dinner with guests. When it’s so hot out you can’t think straight, everyone appreciates being served a fresh cool dinner. wash and chop all the fixings and put them in separate bowls. This can be done ahead of time and everything stored in the fridge. cut up the avocado right before serving or it will go brown. make a tortilla taco bowl for everyone. These can be made ahead of time too! cook the chicken at the last min. For guests, I would serve it hot. Let it rest for 5 mins after cooking and then slice it up. lay out all the ingredients and toppings on the table or a separate buffet like table and get everyone to make their own salad. pickled beet salad – one of my favorites with homemade maple roasted pecans! 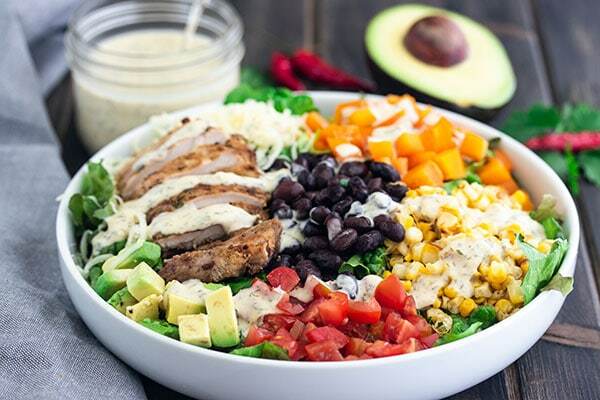 If you’ve tried this chicken taco salad recipe then don’t forget to rate the recipe and let us know how it turned out in the comments below. We love hearing from you! This taco salad recipe is our go to for summer salads. It's easy to make, full of fresh veggies and packs a big flavor punch. Great for those hot summer nights or for when you need a quick, healthy dinner for your family. Mix the ranch seasoning ingredients together and store in an airtight jar. Measure out 1 1/2 tbsp and add it to the sour cream, mayo, olive oil, lime, chili powder and salt. Cover and store in the fridge till you are ready to dress the salad. Mix the marinade ingredients together in a bowl or container and then add the chicken. Cover and marinate for at least an hour (if you can). Get your bbq nice and hot and then add the chicken. Cook for 5 - 7 mins on each side or until the chicken reaches 165 degrees in the center. Take it off the bbq, cover it, and let it rest for 5 - 10 mins before slicing. OR... Heat your oven to 350 degrees. Get an oven proof skillet hot over medium heat. Add the chicken and cook for 2 mins on each side or until its browned on both sides. Throw it in the oven for 6 - 8 mins or until the center reaches 165 degrees. Take it out of the oven, cover and let it rest for 5 - 10 mins before slicing. Wash and chop all the veggies. Arrange the veggies in a bowl or on a plate. Add the sliced chicken, beans, corn, avocado and cheese. Drizzle the dressing on top and serve! 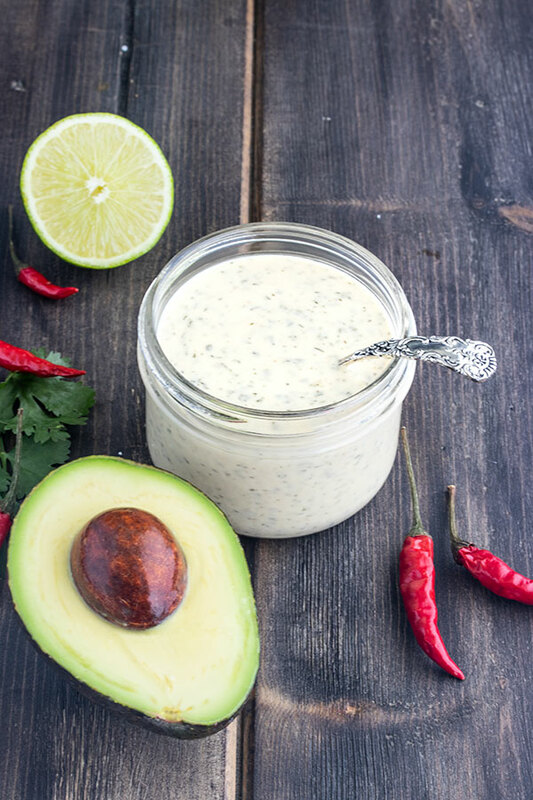 The ranch seasoning recipe will make more than you need for the taco salad dressing. Keep the rest in an airtight container for up to 3 months or so. 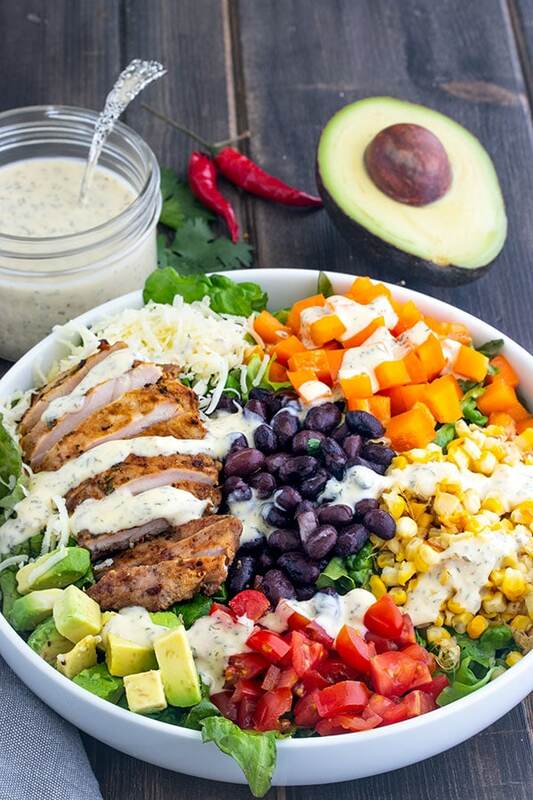 The ranch taco salad dressing will likely make a little more than you need for 4 salads. Any extra can be stored covered in the fridge for about a week or so. This recipe is so good …. right from the Chicken marinade ( which can be used not just for this salad) to the dressing which is fantastic! The whole combination of this recipe is bursting with flavour.